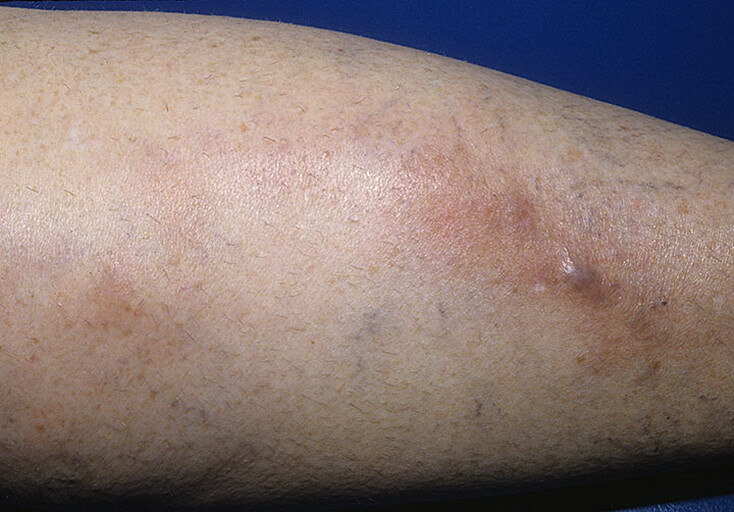 Phlebitis is also known as superficial thrombophlebitis and happens when a vein gets inflamed due to blood clots or damage to the walls of the vein. 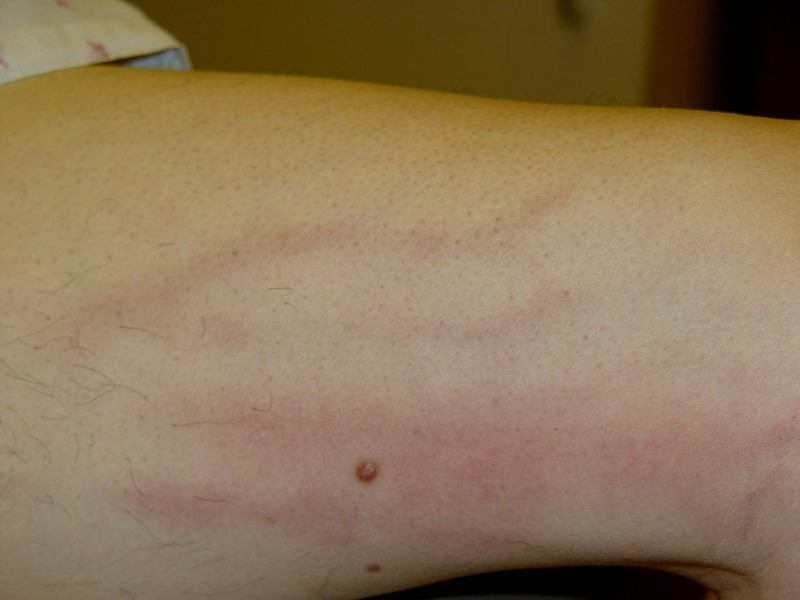 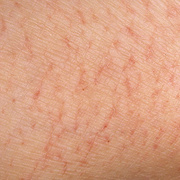 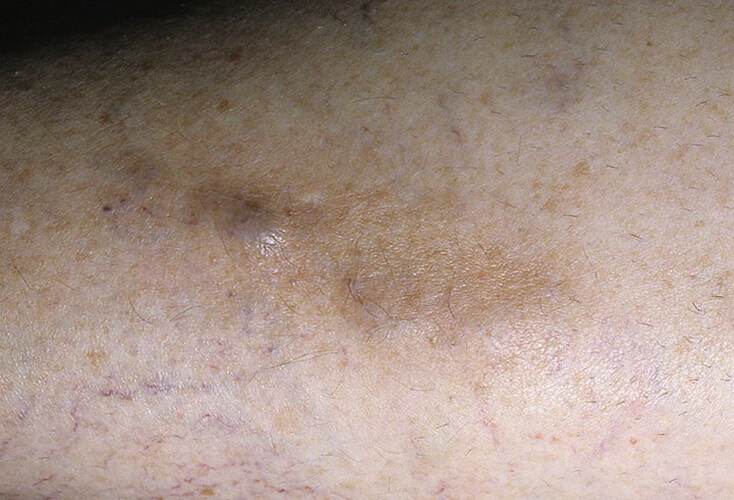 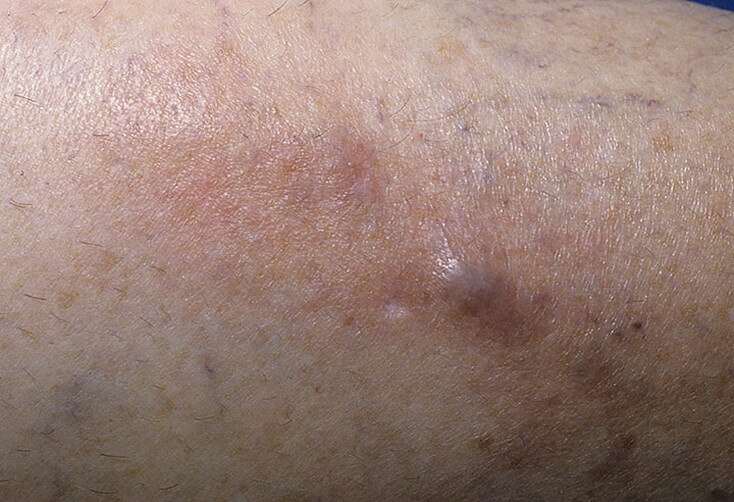 This condition affects veins that are closest to the skin's surface, including varicose veins. 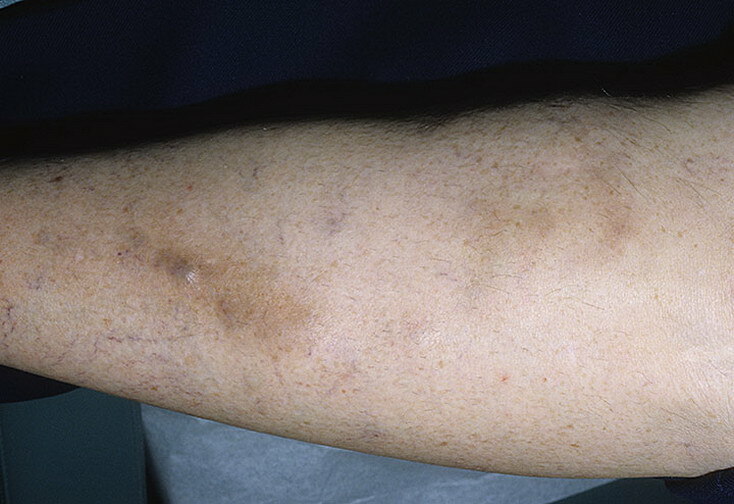 There are two sets of veins in the arms and legs: the superficial veins that run just under the skin and the deep veins. 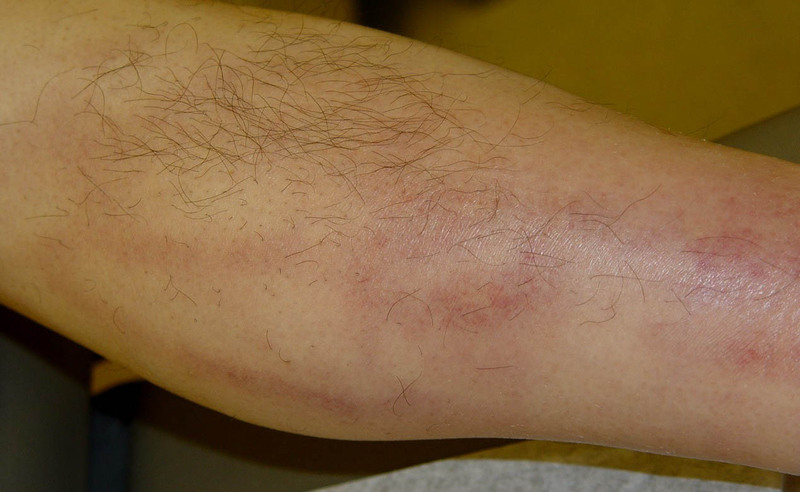 Although phlebitis can be painful, it is not usually a serious problem, and should not usually affect a person's usual activities. 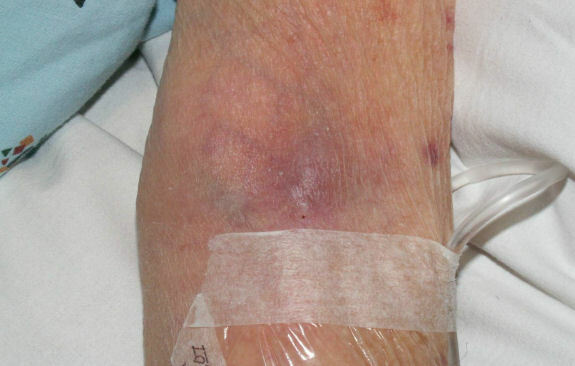 However, there is a small risk of a blood clot travelling around the body and causing problems in a vein deeper under the skin, called DVT ( deep vein thrombosis). 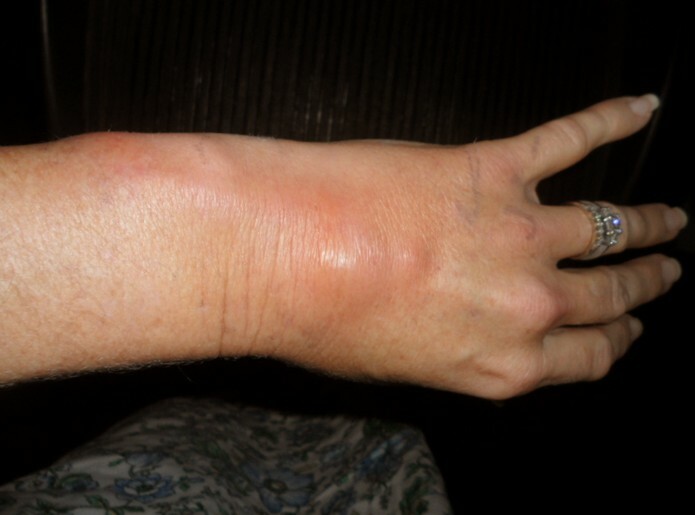 This can cause more pain and swelling, plus aching in a leg. 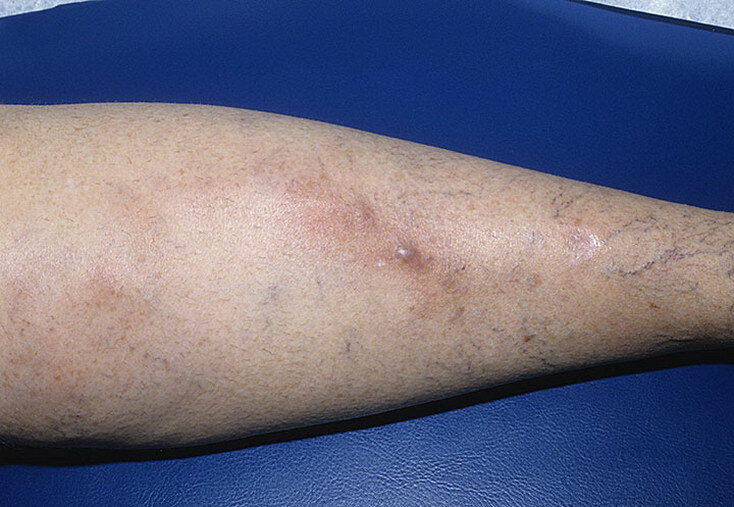 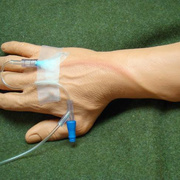 There is no specific drug or treatment for phlebitis. 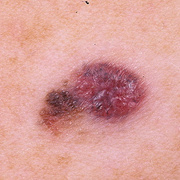 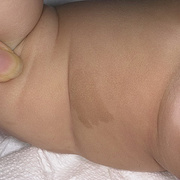 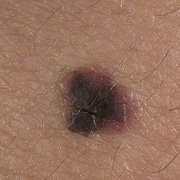 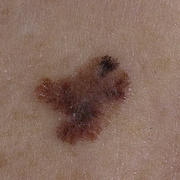 The inflammation usually eases after a couple of weeks, but lumps and a darker colour to a patch of skin may remain for several months. 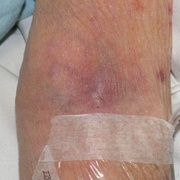 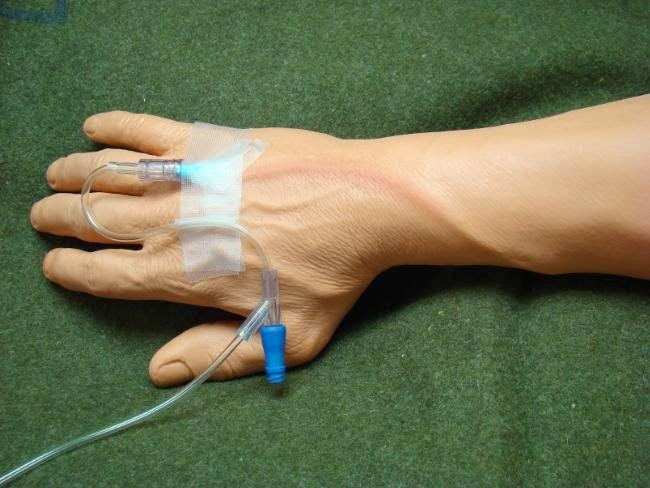 Using anti-inflammatory cream or gel on the skin around the affected vein.